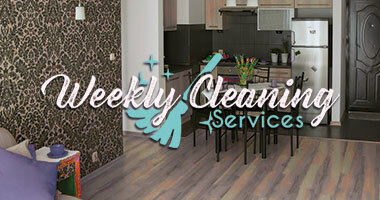 We are a flat cleaning company, which operates around Central London. Book our carpet cleaning services and you will not be regretting your choice! Improve the look of your home and the efficiency of your rest in it with our help. Everyone wants to live in a well-sanitised environment, however, people are often overwhelmed with different professional responsibilities and have no time for domestic duties. Now there is a company in Central London with vast experience in house cleaning and everyone, who would like to make use of our experienced and hard working cleaners is welcome to give us a call. We operate in this field for a considerable amount of time already and until now we have never failed to meet the expectations of our valued customers and deliver the pristine level of cleanliness they would like to see. As a customer focused company, we listen intently to every requirement and have an individual approach toward each customer. Work with us once and you will see that we deserve to be trusted. You know that we are the right cleaning company to turn to because our cleaners-veterans possess the necessary professional qualification and cleaning arsenal to clean precisely every area of your home and ensure a sanitised environment for your family. You can count on them to degrease the kitchen, remove the dust, sanitise the bathroom, hoover the carpets, mop the floors and much more. The best part of working with us is that we are always ready to leave our way of working aside and adapt to yours. Your satisfaction is our main motivation. Our magnificent house cleaning is suitable for every residential owner and business contractor in Central London. We believe that our customers deserve much more than a standard cleaning service, therefore, we give them loyal attitude, personal attention and the most important, peace of mind. Contact us and we will give you additional information about our company as well as a free price estimate.